There is a lovely social etiquette to visiting in rural France. We get neighbours and friends who drop by at any time of the day; preferably after 8am. But builders and delivery men sometime turn up perilously close to the ‘just out of the pjs and still wiping toast crumbs from the chin stage of the day’. Thank goodness we can hear any car coming up the long drive. Manu, one of our electricians (don’t ask, we’ve had lots over the years) claimed that if a workman turned up before 8am he had to bring the croissants or pain au chocolat as compensation for the early hour. I can’t say many people have followed the social rule. Although Manu did bring hot, just from the boulangerie croissants a few early mornings when he was grappling with our dodgy electrics. Sadly, our current electrician is more of an 11am kind of guy. But he is better at his job, so I endure the lack of breakfast bribes. Any time after that it’s the triple kiss or the handshake, and then you invite them in for a drink. In Australia that might imply booze. But here it’s either coffee (always taken black and usually drowned in sugar) or a cordial. And by cordial you have to say the magic words ‘fait maison’. Homemade. That will have your visitors zipping into the kitchen with speed. People just don’t seem to make time for cordials any more, and I never understood why. A glut of fruit is exactly what we have at this time of year. 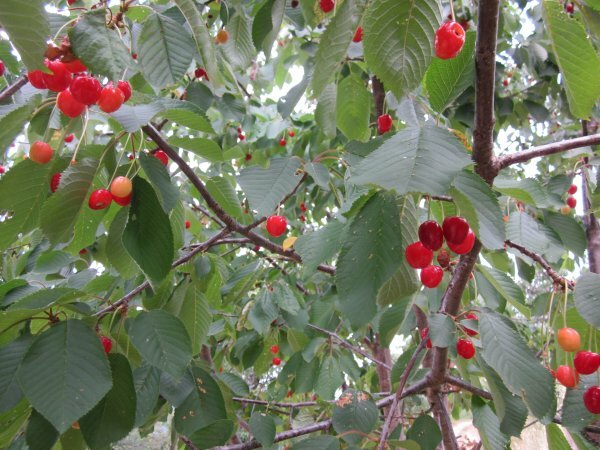 Our main spring crop is the ubiquitous cherry. Our mountains are bursting with the fruit. 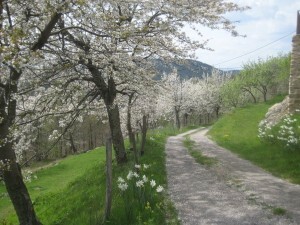 Most of the cherries are wild; a fact you can prove by just looking out at mountain views and seeing so many patches of white blossom in among the conifers and oaks. 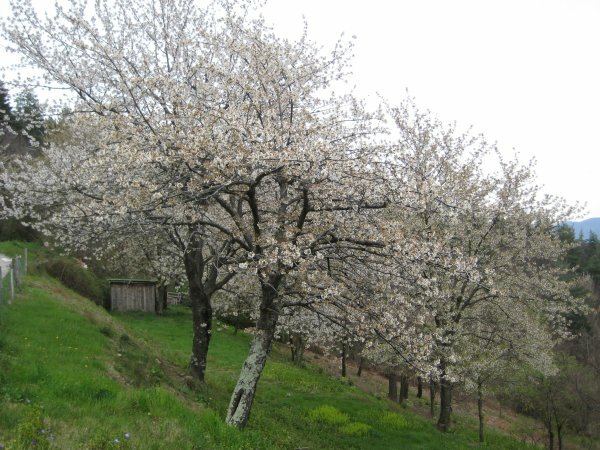 We have over forty cherry trees on this farm. The whole drive up from the main road to the house is an alley of cherries; divine in spring when the white is so dazzling that you find yourself checking it isn’t snow. 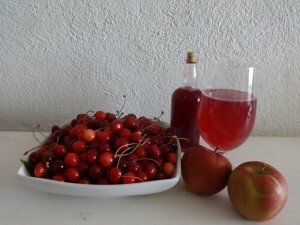 Our previous owner was an ‘amateur’ of cherry liqueur. Isn’t that a lovely term? Amateur in this instance means fan. But in this case it meant fanatical brewer of 40 proof booze. Hic. We haven’t kept up the tradition, sadly. I’m too busy just picking the fruit. 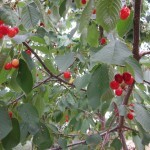 We have mostly wild cherries, which are a lighter red in colour. 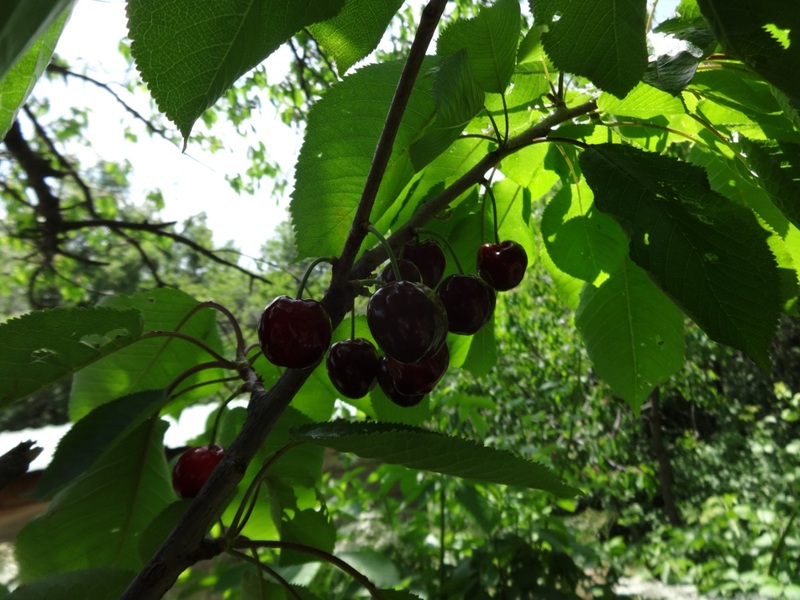 But lucky us, there are still five black cherry trees on the farm. These are the plump, juicy, gobble the lot and fall off the ladder variety. Unbelievably good. 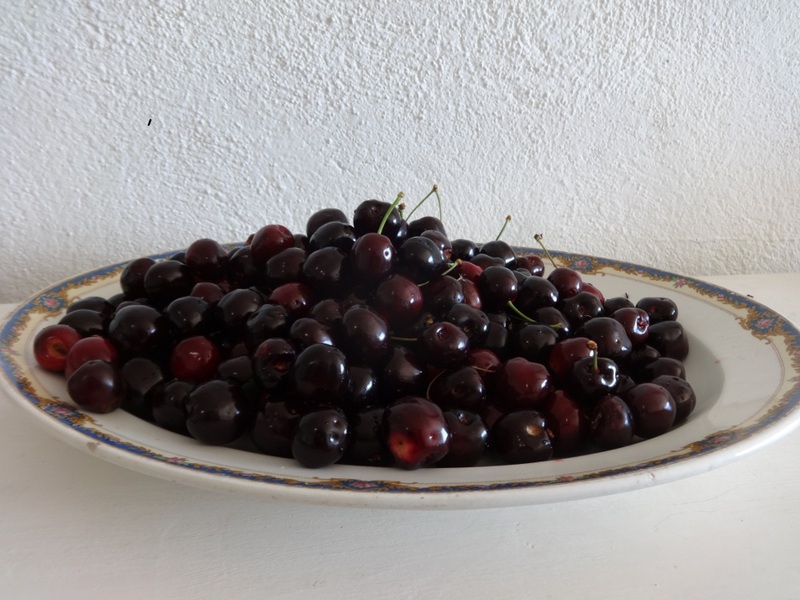 And when you first take over a farm you don’t give a thought to anything but reaching for more cherries and not worrying too much about the dying branches or hard to reach fruit. 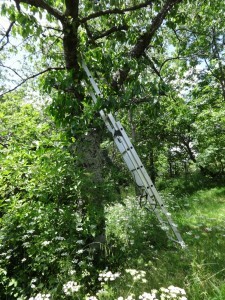 You just crank up the extendable ladder and try harder and harder each year to harvest your crop. Ever wondered why those machines are called Cherry Pickers? Cherry trees have an annoying habit of branching out and up, and up and up, and the lower branches die. Dramatically. 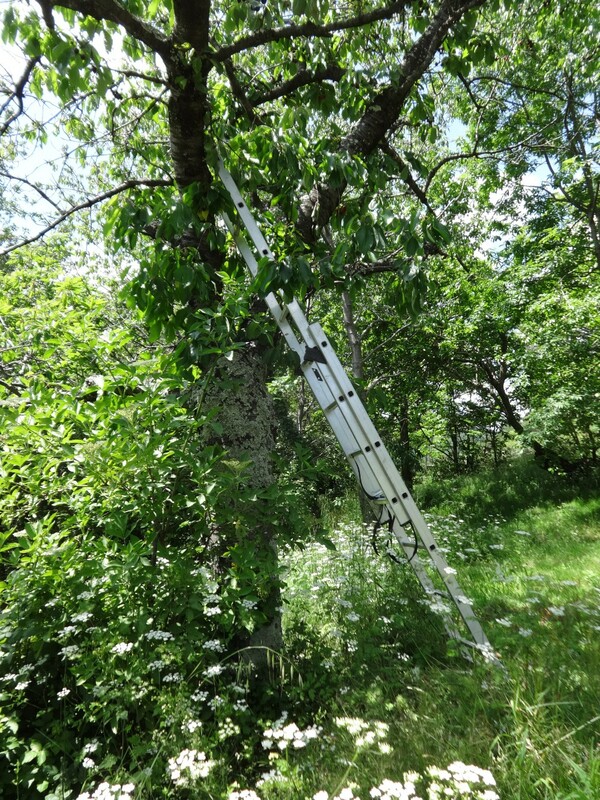 Most neighbours around our area have their ladders propped up against favourite trees. And I am no exception. 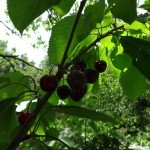 We have a beautiful old black cherry tree up near the guest house which is expiring limb by limb after every storm. I must get on to Frederic Cochet’s website and order a replacement tree as I don’t think it will last much longer. I have planted three new Noir de Meched black cherries in the orchard last year, but you soon learn that you can’t have enough juicy fruit. But what to do with the harvest? Honestly? I think those who climb the ladder and risk death ought to get the rewards. We eat kilos and kilos fresh every week. In the early keen old days (when I wasn’t landscaping with such time consuming alacrity) I made black cherry jam. This involves pitting. And finding the time to sit down in the shade of the vines and laboriously remove every cherry pit before plumping the lot into a pan is long gone. 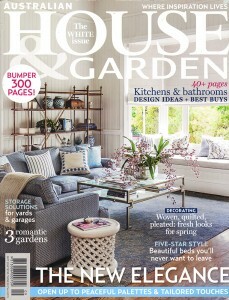 This is one of my busiest times in the vegetable garden getting the crops into the ground. And then once you’ve pitted and tried not to scoff the lot, you have to make the jam. 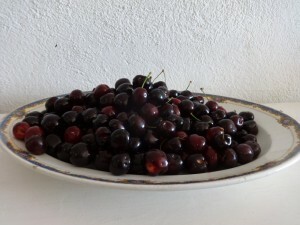 Some fruit are just naturally very low in pectin, and black cherries are notorious for being slow to set. Or else you have to dump so much sugar and so much juice from lemons into the mix that you end up with a product that is sort of cherry, but frankly you are zinging from such a sugar rush you couldn’t be sure. My neighbours just plonk the fruit in sugar and booze, seal them in jars; and you take your chances with the pips when eating them later in the year. I’ve gone one step further. I don’t even worry about pips. Or stalks. 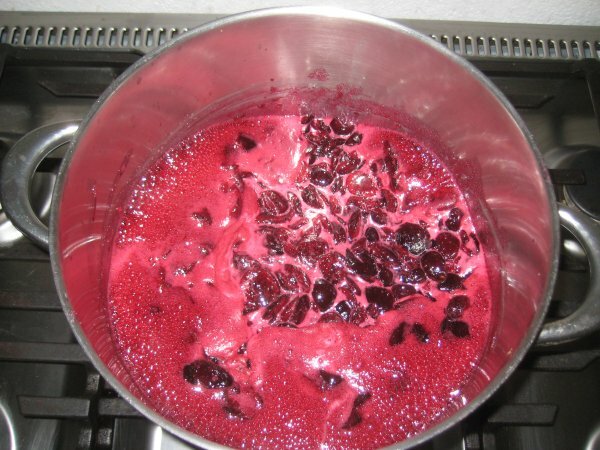 I made cherry cordial. And this is fast becoming my favourite Fait Maison. I have tried to dilute it with my favourite cordial ratio (600g fruit, 300 grams sugar to 1 litre water), but the flavour is so fleeting that you really do need it quite concentrated in flavour. You will need castor sugar for this cordial as it is only stirred through at the end and needs to dissolve quickly. You may want to add citric acid to increase the shelf life of the cordial, but ours never lasts much longer than a week in the fridge. 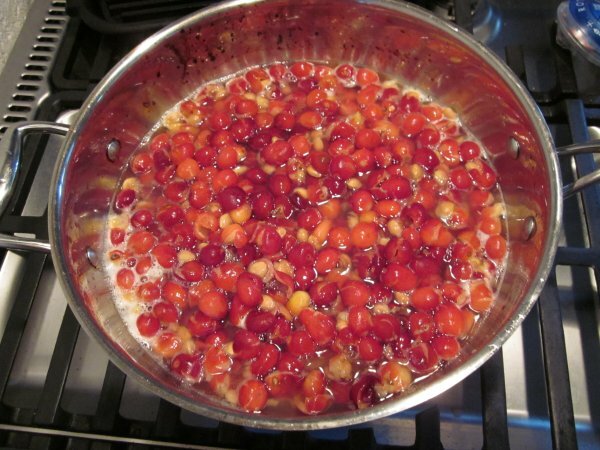 Into a deep saucepan with a fitted lid, squeeze the cherries slightly so you release the juice. If you are squeamish you can do this with a potato masher, but you miss out on a fun, sensual and potentially hazardous staining adventure. Pour over 400 ml (13.5 fl oz) water and bring to the boil with the lid on. Reduce the heat to a simmer and cut up your apples, core, pips and all. Add to the cherries, cover tightly and cook a further ten minutes. Strain the cherries and juice into a sieve over a deep bowl. Add the sugar and citric acid, stir well until all the sugar is dissolved. And then decant the cordial into small sterilized bottles.